Study English with your friends and gain advantages! Just recommend your friend use ECTV On-the-Go, and you both will get a special bonus for your study! In this case, we give both of you 100% of the tariff you have bought as a present. For example, you have paid 30$ for 1 year of the Platform use, and your friend has bought a 3-months subscription for 8$. So, your subscription will be extended for 1 more year, and your friend’s subscription will be extended for 3 more months. Entering this promotion, you can invite as many friends as you like. 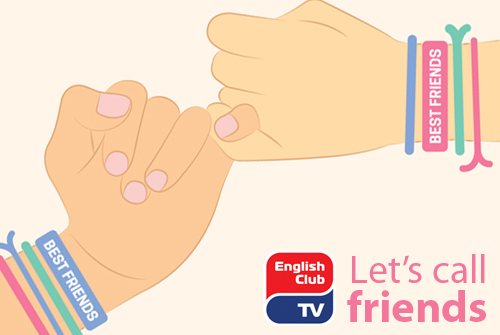 To get the bonus for “Invite your Friend” promotion, send 2 e-mail addresses, your friend’s and yours, to customer.support@english-club.tv, and both your subscriptions will be extended during 36 hours.